Captain’s Quarters Oceanfront Junior Suites have two queen beds and flat-screen television in the bedroom, a separate living room with a double sleeper sofa, television, and dinette table with 4 chairs. 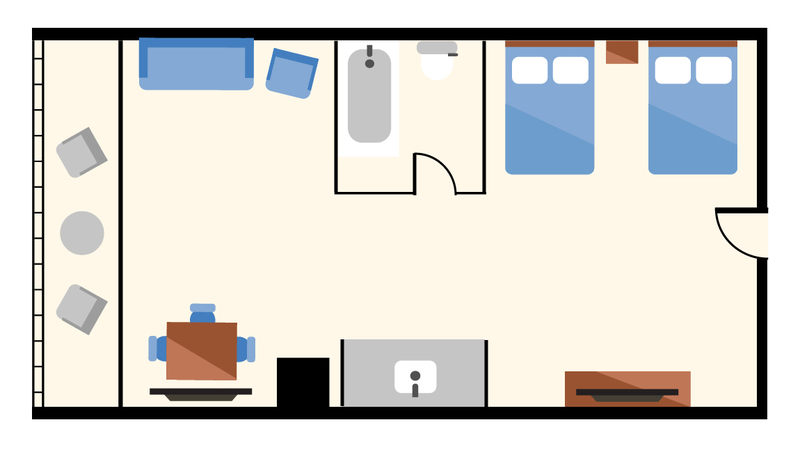 These rooms also have one bath and a mini-refrigerator, microwave and coffee maker. All resort guests enjoy free voicemail, complimentary wireless Internet access, a hair dryer, safe, and iron/ironing board. 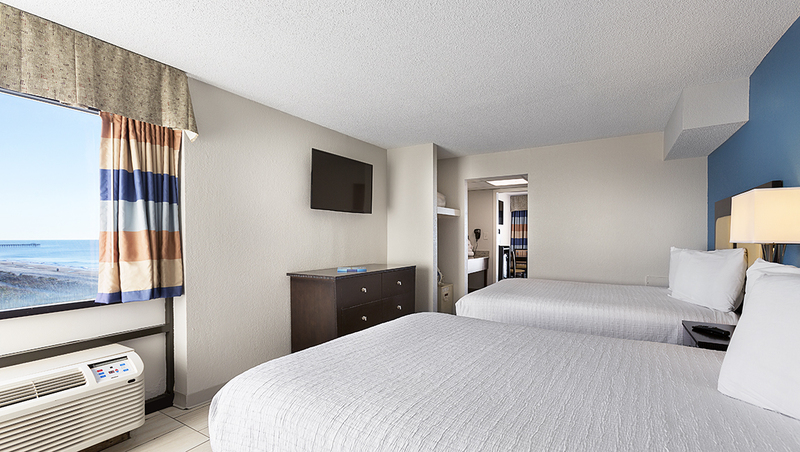 Daily housekeeping, linens and towels are included in rates. 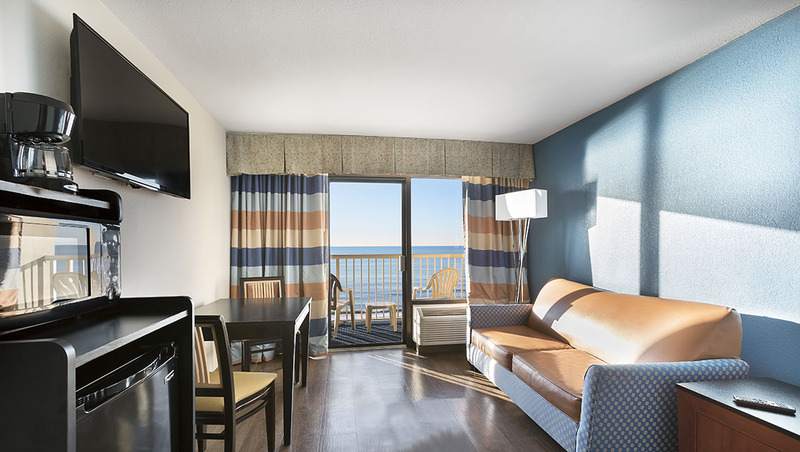 Oceanfront Junior Suites feature a private balcony that overlooks the ocean.